Even though I would probably never be able to incorporate this into my style and wardrobe, therefore I'm not tempted to buy it, I have been visiting Topshop at least every day for the past week just to look at it. 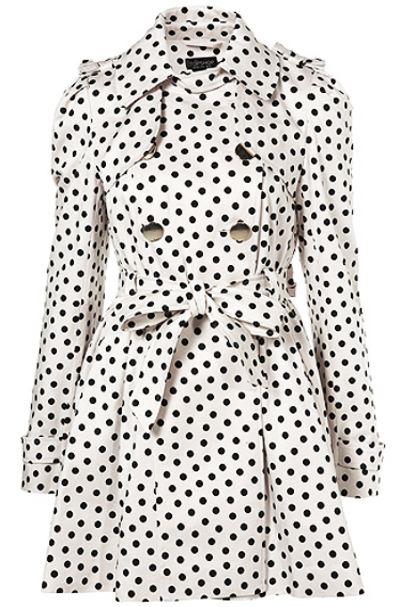 It's called Spotty Double Bow Trench Coat. I didn't get the "double bow" part until I saw the back. There actually are two bows there. Because - obviously - just one wouldn't cut it. Any girlier and you die! I hear you Sal, it's just that I have to be really, really strict on my liking of anything I see online, or else I would shop constantly. Being difficult about my taste saves me from bankruptcy! I feel you, online shopping is the devil. 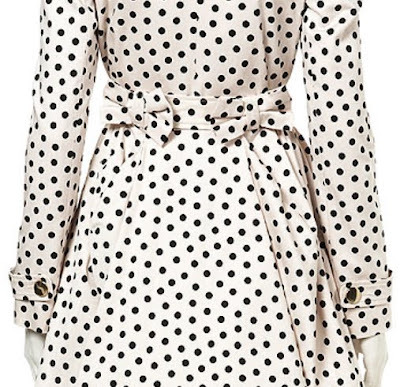 Love this trench! the double bows are such a darling!awww topshop.. you never fail to break our hearts! ahh polkadots!! i'm like, newly obsessed with them!